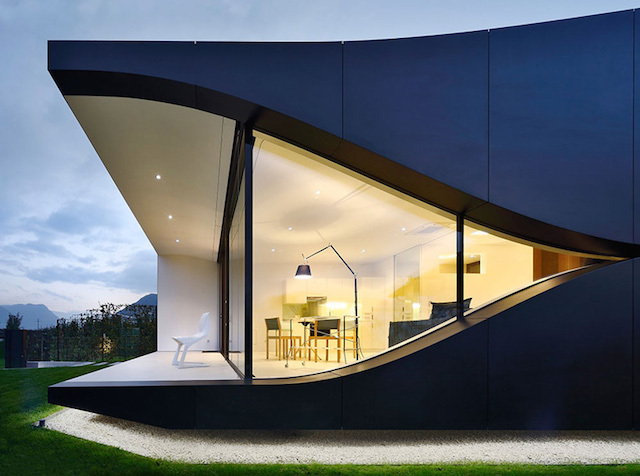 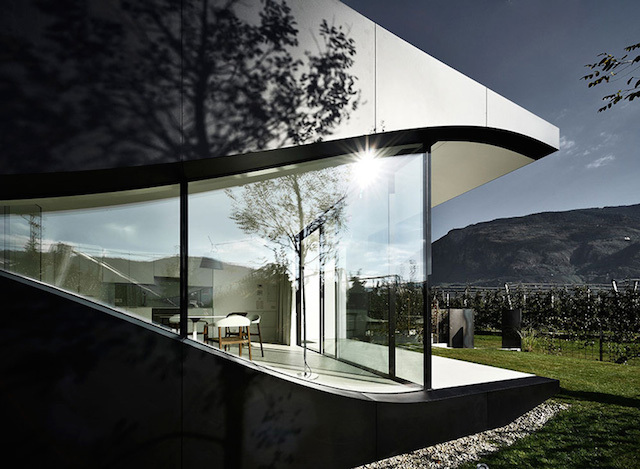 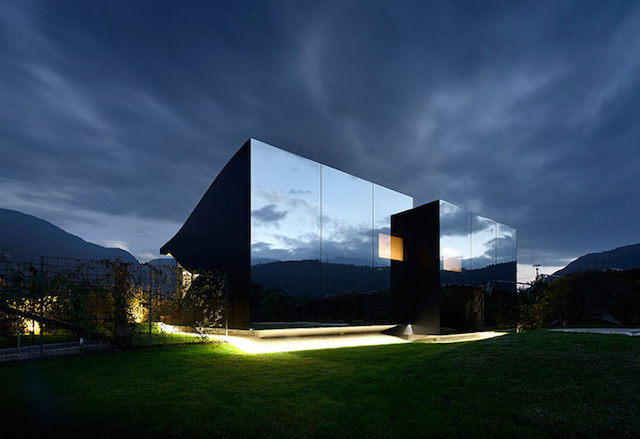 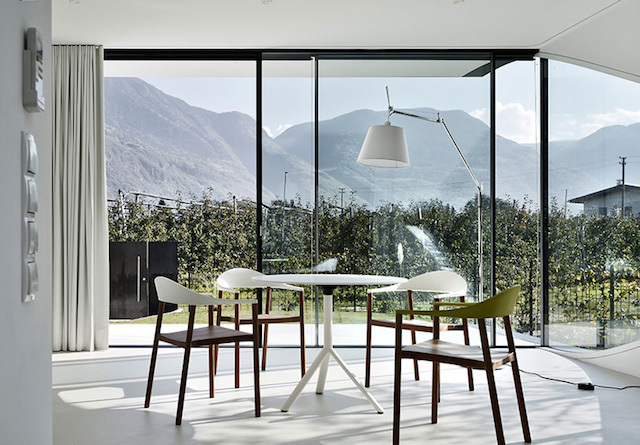 Italian architect Peter Pichler has designed rent vacation’s house in the South of Tyrol region, near Bolzano, in Italy. 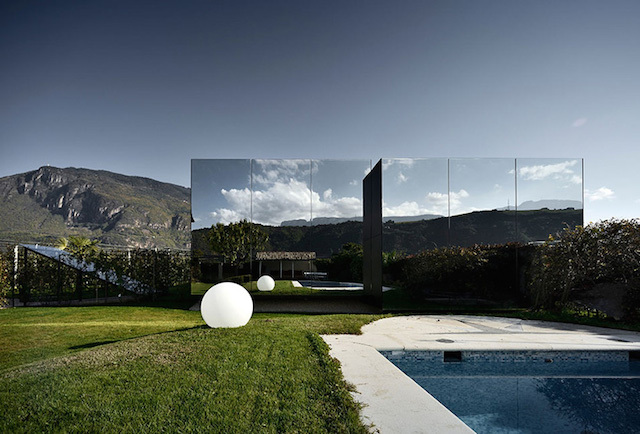 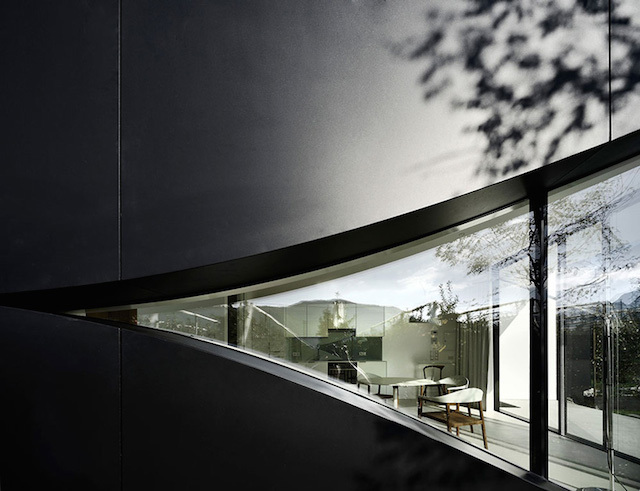 The idea was to make bay windows’ facades that can reflect the view and the beauty of the landscape and mountains. 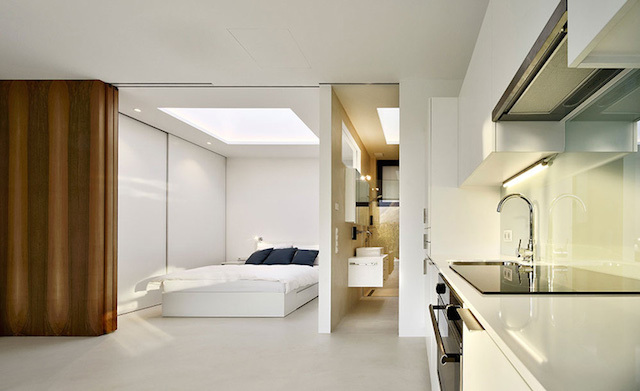 Interiors and exteriors to discover in the gallery. 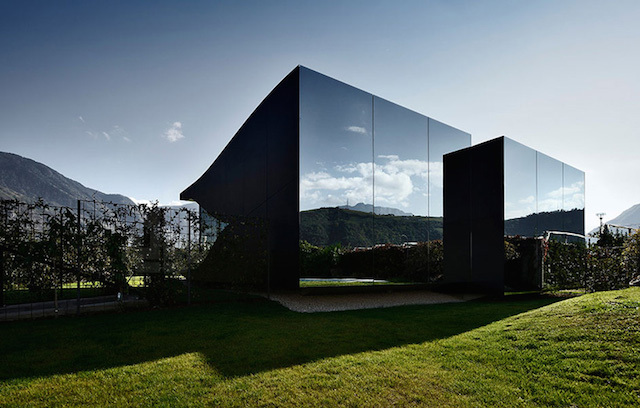 Photos by Oskar Da Riz.